A continuously updated list, presenting you the best practices from List Building experts, that used these proven techniques and optin forms to grow their email lists to millions of subscribers. Made popular by Andrew Warner of Mixergy this technique is now widely used and still effective. Your Homepage is one of the most visited pages of your Blog or Website. A welcome gate makes use of this traffic, showing all new visitors an optin form to access your content. Combined with social proof like quotes, popular logos, strong numbers or excellent copywriting it's a really effective way to convert your first-time visitors into subscribers. 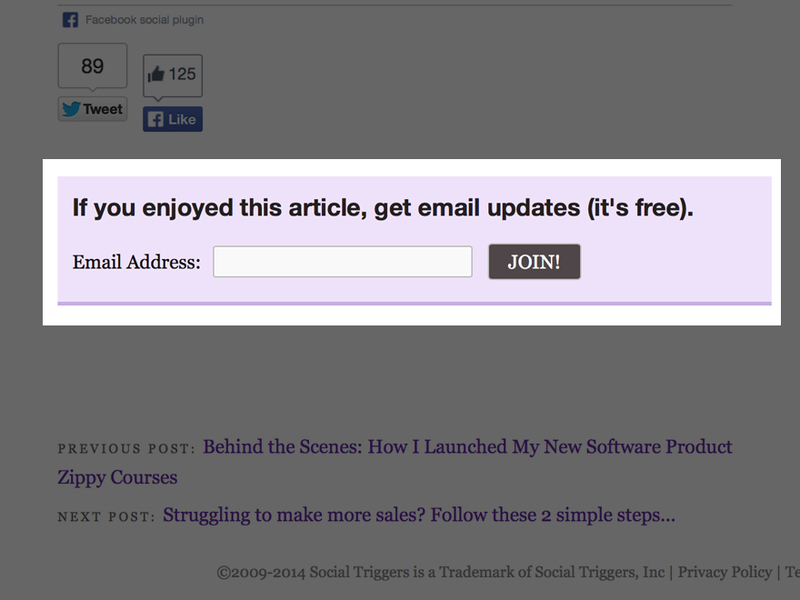 Even if almost everybody is already using a Signup Box in their sidebar, its still effective if you do it right. 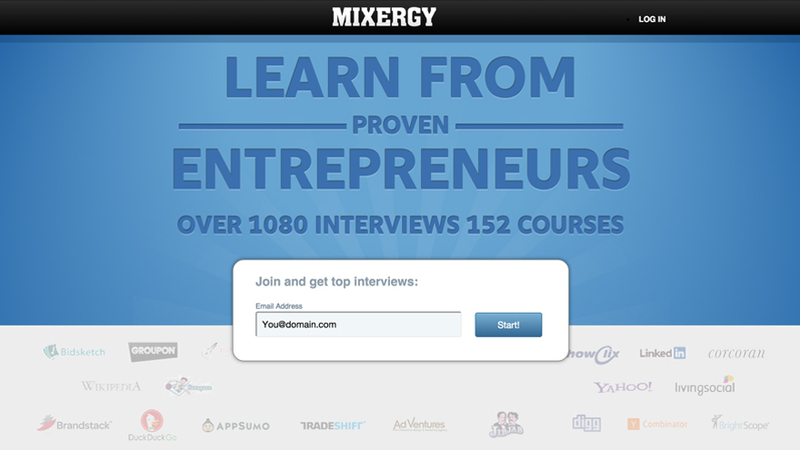 It is one of the first place a visitor looks for a Signup Form. 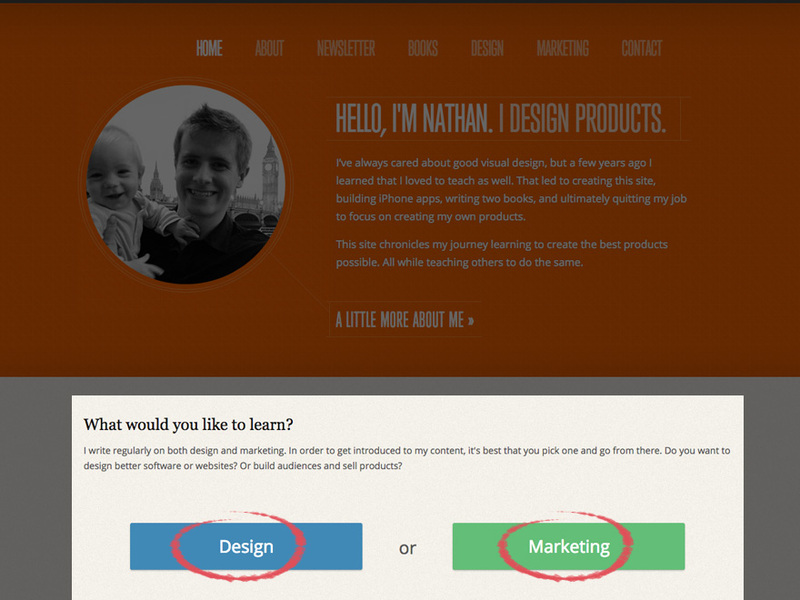 Make sure that it is the first thing in your sidebar and that it stands out from the rest of the design. Combine it with a valuable Optin Bribe and a clear Call to Action. To get a higher conversion rate you should try to show the signup form only after a click on a button and include some kind of social proof. 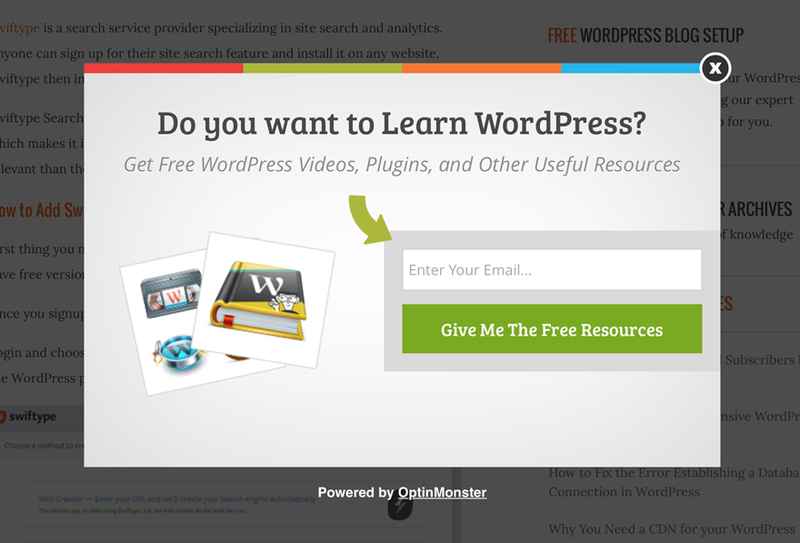 Most Optins need an active decision from your website visitor to click a link. 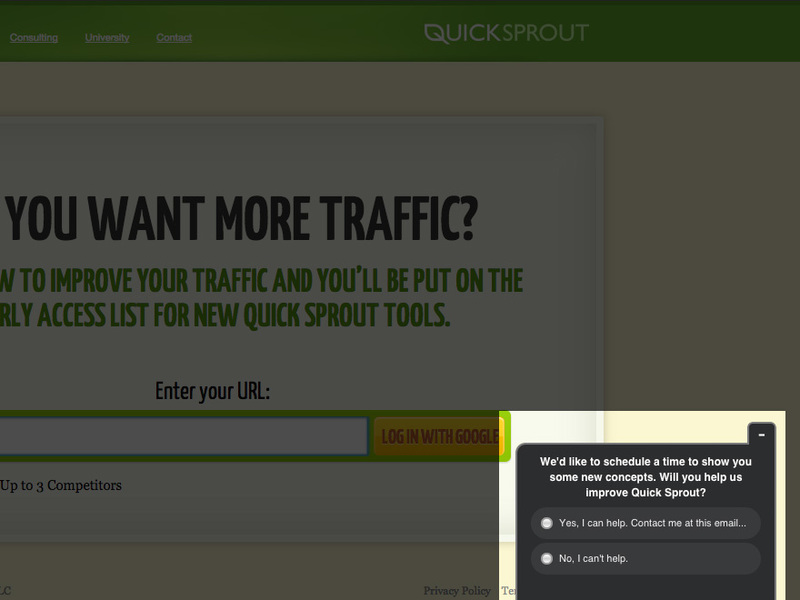 With a Optin Popup that shows after a determined time you can proactive convert onetime visitors into subscribers. Although this is now widely used, you can still get great results depending on the industry and focusing on strong Copy. Notice that there will be always some visitors who really don't like this, but the results should always outweight them. At least you can give it a try and decide for yourself. 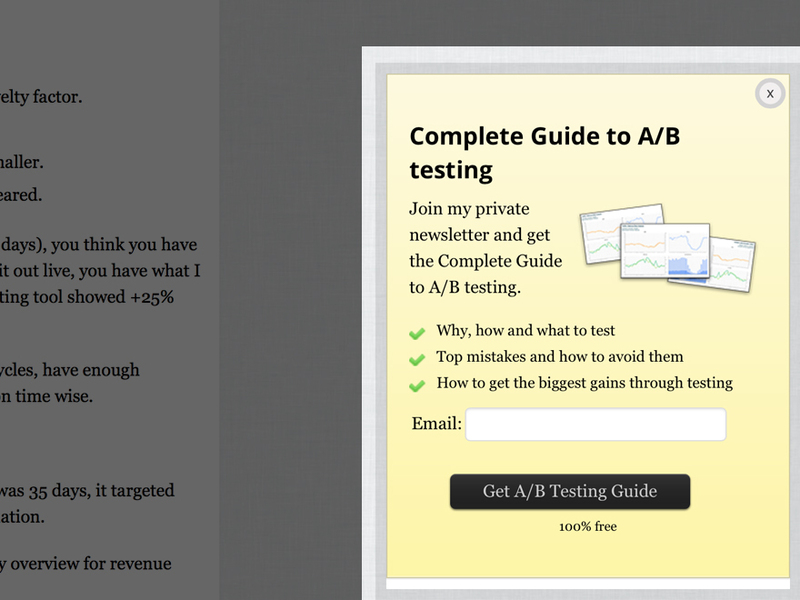 Using a exit intent triggered popup you can get your visitors right before they leave your site. It is a strong tool if you combine it with a strong Bonus or Giveaway that provides extra value in exchange for their email address. WPBeginner was able to boost their signup over 600% to 445 - 470 subscribers per day with just this technique. Fabulous Derek Halpern uses this technique for years to convert visitors to subscribers. In a matter of seconds new visitors get to know what your blog is all about and what they will get out of a signup for your Email List. 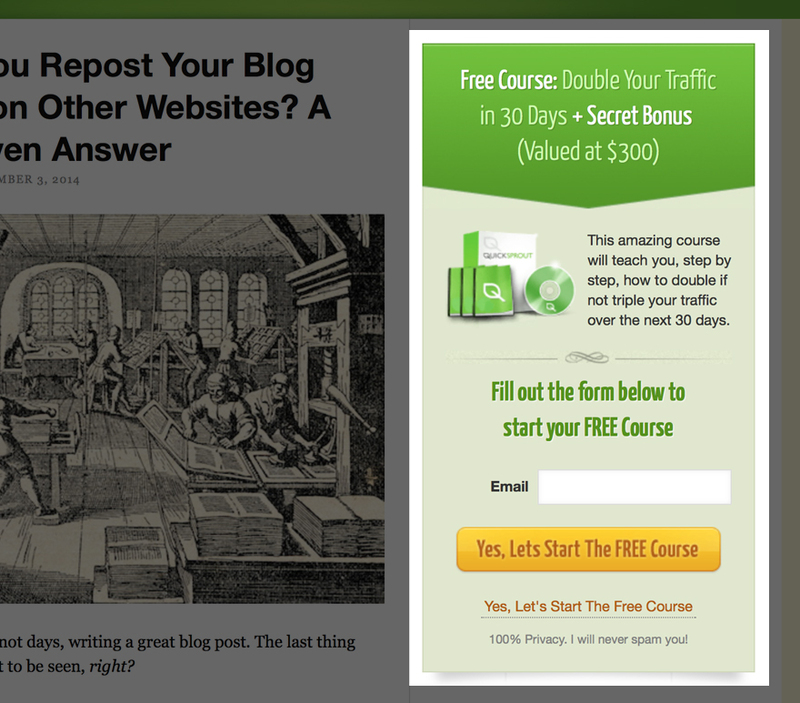 As a Bonus it also qualifies your traffic into the right visitors from the beginning. The most read part of all your pages is the Headline and right below is a well overlooked place to build your email List, the author byline. 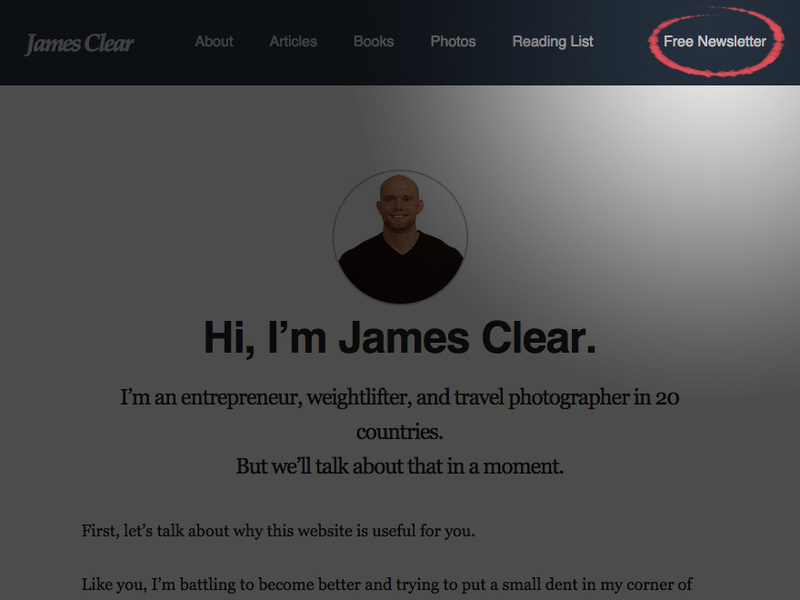 James Clear used this technique among others to grow his Blog to over 70.000 Subscribers and as well Bryan Harris had great results with it. 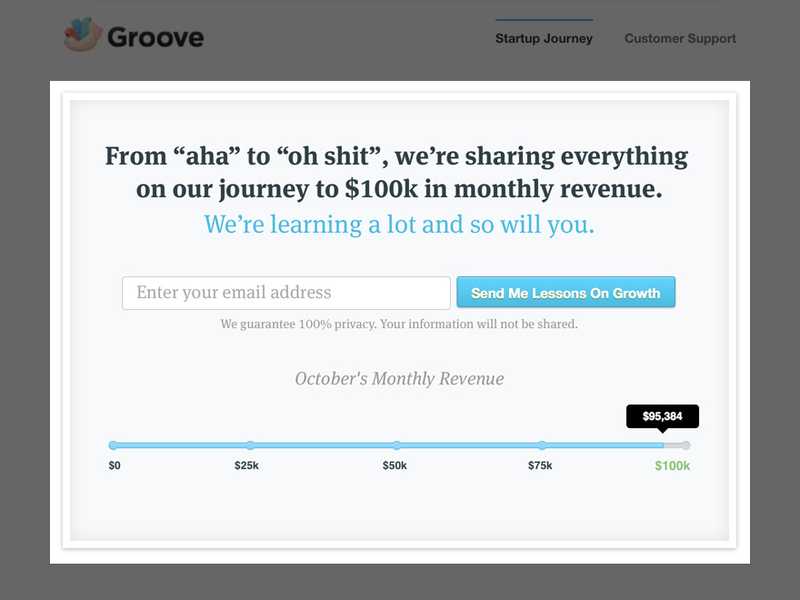 How to grow your Email List jascha.io/listbuilding/ via @Jaschaio - love the layout of this page by the way. This Technique is highly used and recommend by both Brian Dean and Bryan Harris and got them some amazing success. The trick is to create for your best performing blog posts a specific Bonus to download at the end of the post, like a Checklist or a Video Guide. 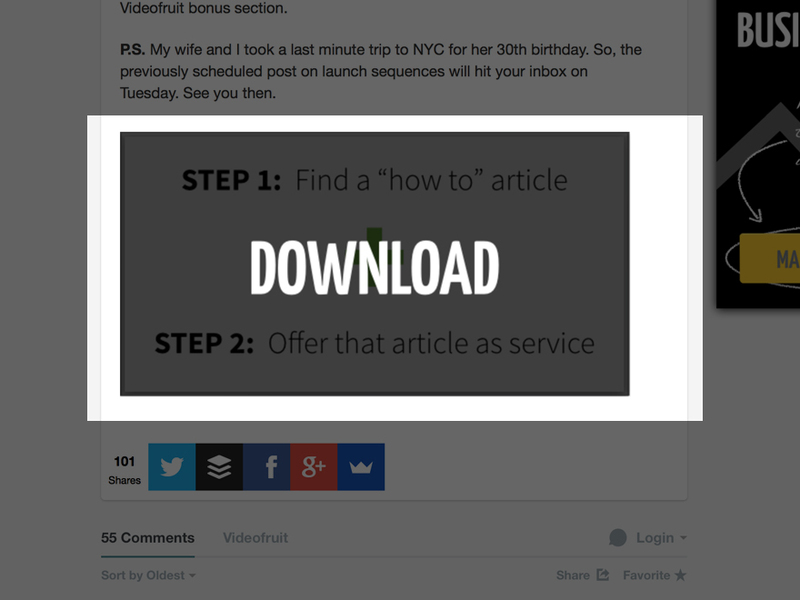 It works well because its both relevant and adds tons of extra value to your readers. The best place to make this work out well is in your "Start here" or "About" Page. They should be both beside of your homepage one of the most clicked pages on your website. 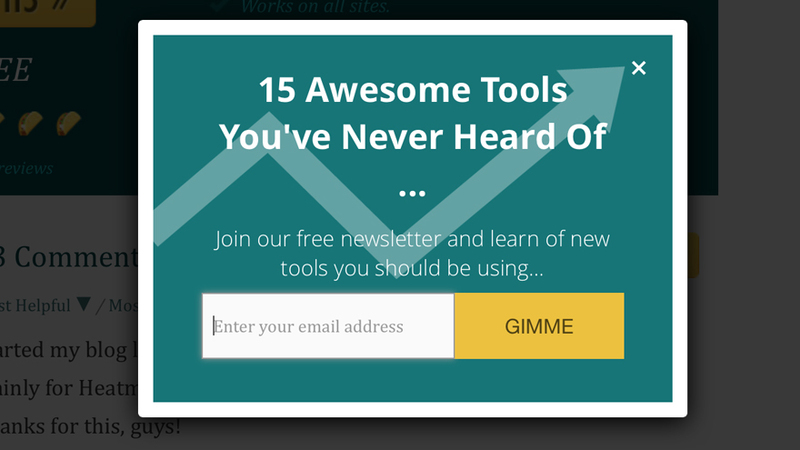 By asking repeatedly for an Signup for your Newsletter you can make a lot of use of this pages. 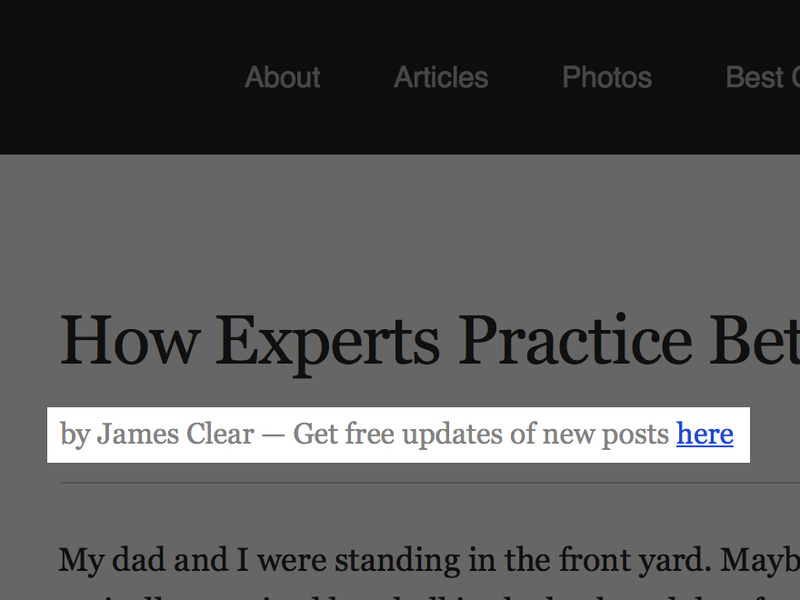 But it works as well in normal Blog Posts, as most of your visitors won't read until the end of your posts. To get the most out of this technique you should track the average read of your content and place an Call to Action right there (Normally in the first third of your post). Once your readers have scrolled down to your footer they probabbly have already readed an article, got value and therefore trust you. This is on of the best moments to get them sign up for your Email List, since it is the next logical step. Its as well a common place to look for a Signup Form and therefore important that you don't skip it. The best moment to ask for a subscribe is when people are already engaged with your content. 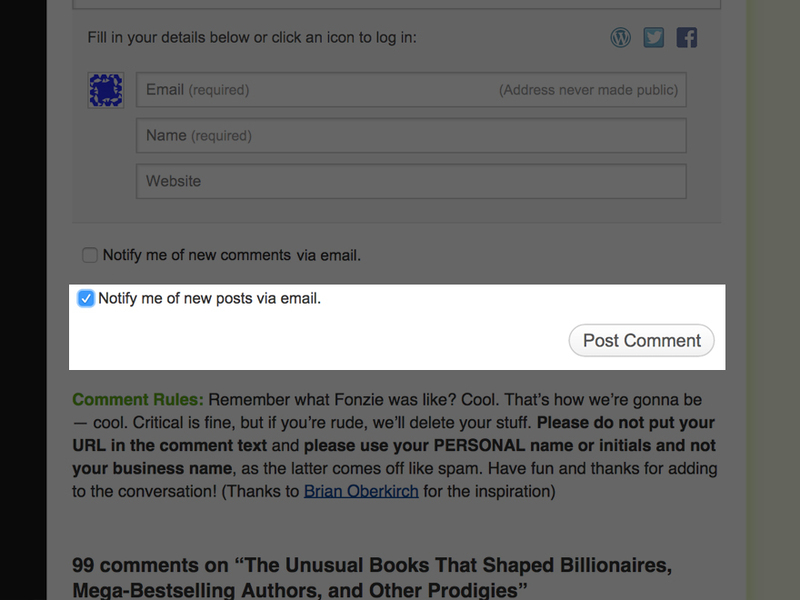 Once they have read your p and are commenting you can ask them to join your Email List with a simple Checkbox. Its both fast and convenient, as they already typed in their email to comment on your blog and therefore most likely are raving fans of your content. Inside your Navigation you should link to a specific Landingpage where visitors can subscribe to your Email List. 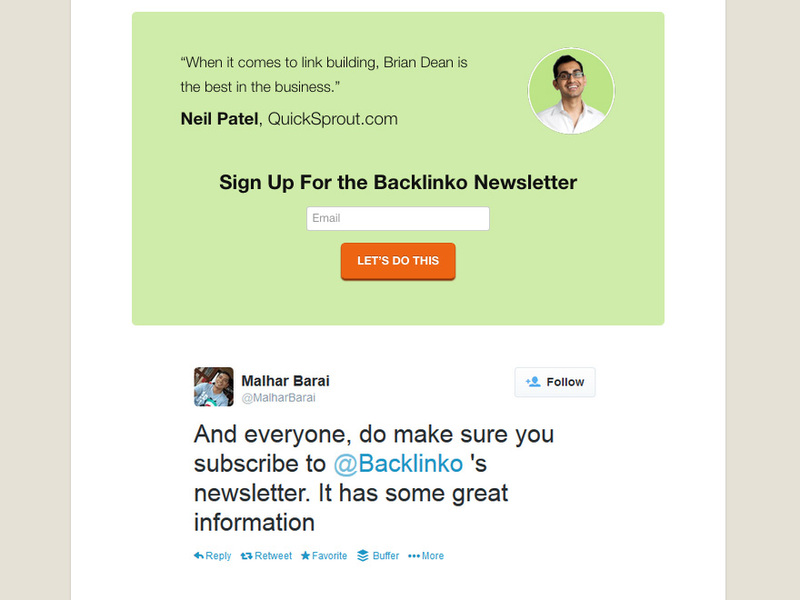 Having a specific page for people to sign up for your newsletter allows you to send visitors directly there. James Clear used this as one technique to build his list to over 70.000 Subscriber, linking from Guestposts directly to his Optin Page. 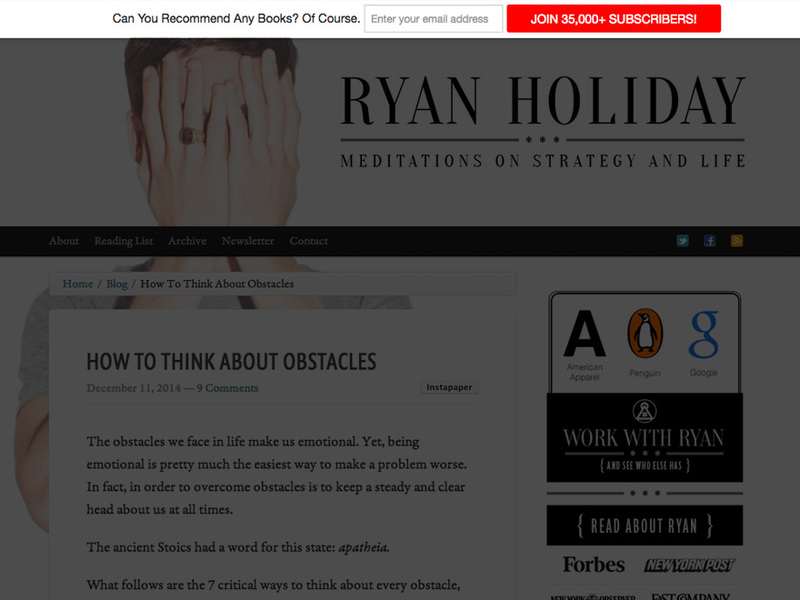 A less disturbing and valuable alternative to a Popup could be a scroll triggered Subscribe Box. It scrolls up from the bottom corner once the visitor has scrolled down a specific percentage of your Website. While visitors scroll down your page, the content of your sidebar gets out of the view wasting a lot of valuable space. Similiar to the Scroll Box you can use as well a Sticky Widget to leave your Optin Box always in the viewport of your visitors. 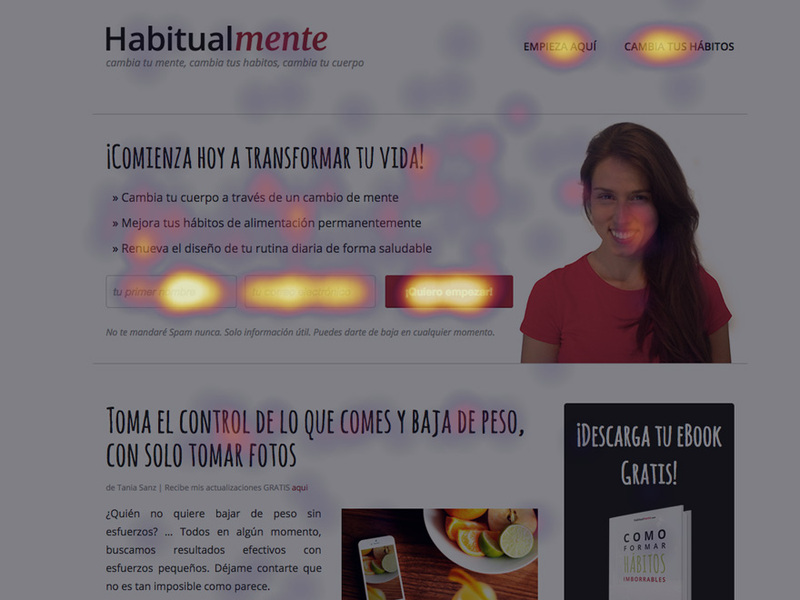 As most of the people are already blind to the Sidebar this is a well working technique if you want to emphazize something special and improve your Conversion Rates significant. 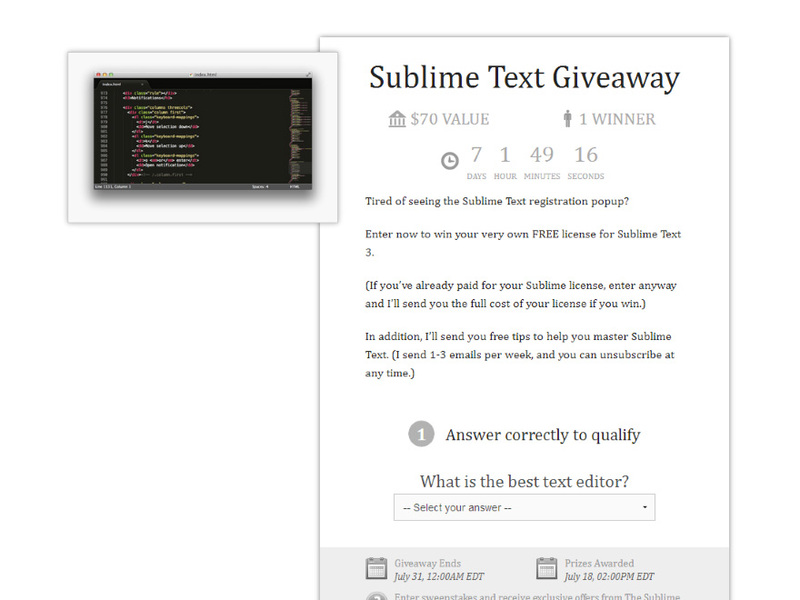 One of the most recent ways to earn a lot of email address is to create a Contest that is relevant to your Audience. Josh Earl used this to generate almost 200.000 new Subscribers in just a few days. Think of something unique to give away for your Readers and let them take part of the Contest by entering with their Email Address. Combined with build in viral sharing tools its one of the most effective ways to grow your list! A Notificationbar is perfect if you want to get the attention of your Website Visitors, without being too intrusive. It always stays on the top of the page and works best if you can give something tangible in return for signing up for your newsletter. Qualaroo is usually used to take surveys among your visitors and collect valuable feedback to improve your overall website. But a few sites use it as well to grow their email lists, also its usually not intended for that purpose. It can work well, because you get the visitor actively to decide if he wants to get updates or not in a non-intrusive way. 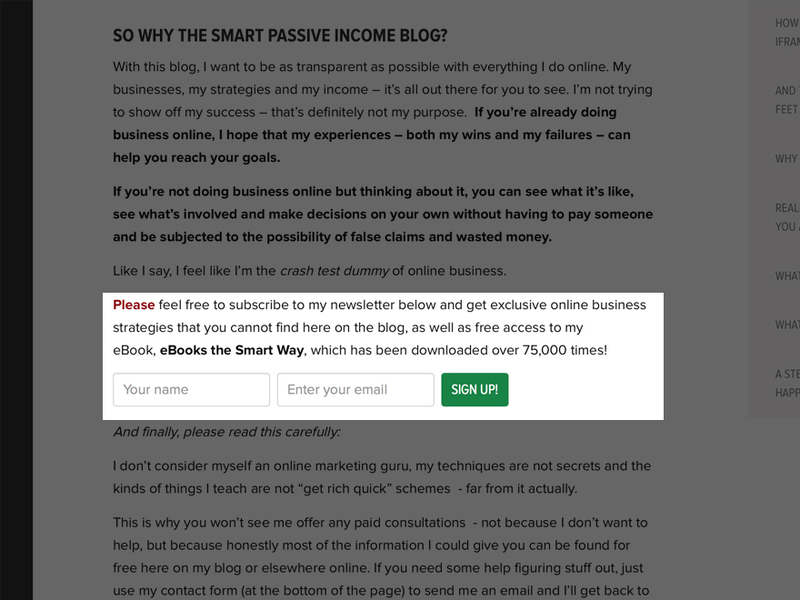 Most of the big blogs out there already know the big effect this techniques has on the conversion rates of their email signup forms. "Join my weekly diggest with over 50.000 subscriber" for example is a really strong claim that works well. But even if you don't have that much follower you can use social proof: Brian Dean simply suggests that you show one or two tweets of your followers that liked your content or a Quote from a well known Expert. Different people prefer different mediums. Therefore you shouldn't assume that all your Facebook Fans or Twitter Follower are as well already on your email list. But since they are already following you on other canals they are most likely to join your list as well. 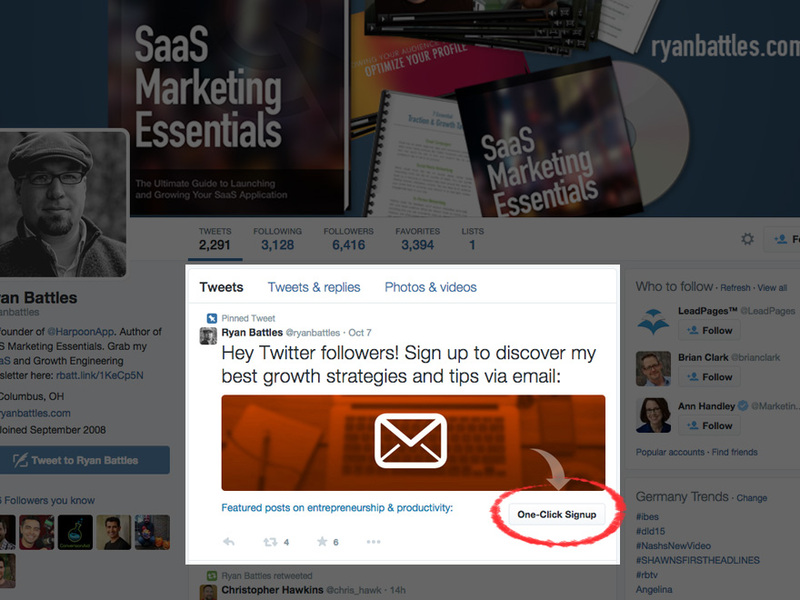 In Twitter you can even use one-click signups, so they don't even have to type in their email address. The worst thing you can do to your readers is using every single one of these techniques. You should try all of them and look which one works best. Get rid of distractions. Your focus should be only on email signups, so try to reduce your sidebar and footer as much as possible to get the visitors focused on your signup forms. Nathan Barry often speaks about it how teaching, storytelling and transparency can build you a loyal audience and profitable business. 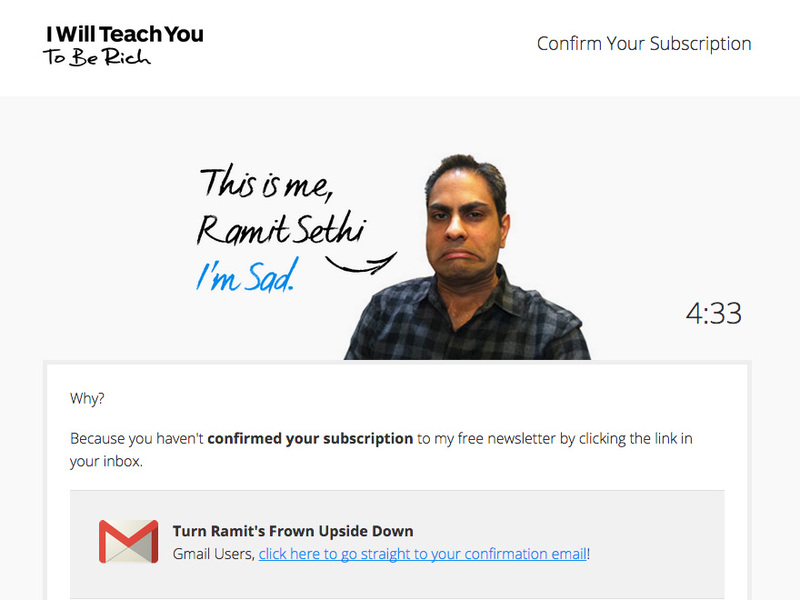 He is actually using that in a great way to capture email addresses for his Blog. By asking your readers what they want to learn and providing them with an actual ressource to do that, you can add real value. This techniques is great combined with the Featurebox or Welcome Gate but can also be used simply on your Homepage. Unsubscribe at any time. We will never spam you.